There are four artists named "Versailles". 1) Versailles is a new SAS band formed by vocalist Kamijo (ex LAREINE, ex New Sodmy) and guitarist HIZAKI (HIZAKI grace project, ex SULFURIC ACID, ex Schwardix Marvally, ex Crack Brain). The band also includes bassist Jasmine You (ex Jyakura) and guitarist Teru (ex Aikaryu) from HIZAKI grace project, and drummer Yuki (ex Sugar Trip). The debut live will take place at Ebisu LIQUID ROOM on June 24th. 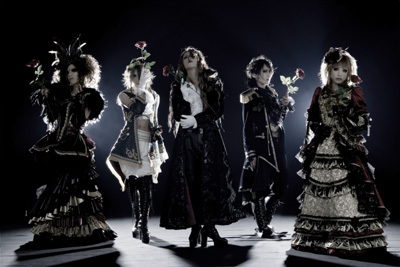 In March 2007, Versailles was formed by KAMIJO (ex LAREINE) and HIZAKI (ex SULFURIC ACID), then Jasmine You , who was from Jakura and HIZAKI grace project, TERU (from AIKARYU) and YUKI(from Suger Trip), who was strongly recommended by Rock May Kan( a long established venue in Tokyo) joined the band. On 29th March, a name of each member were revealed, then a name of a band was announced on 30th March. On 2nd May, they posted a trailer for Versailles’s appearance on YouTube. Since then, they received a lot of proposals for tours and interviews from overseas. So far they have interviews for only international media/press. At the end of May, German documentary TV crew came to Japan and the band was interviewed. In June, the interview was on Sankei Newspaper(one of big domestic newspapers) and Versailles were featured on the article. Due to big feedback, “Versailles / Band” was top 1 in Yahoo search-keyword ranking. Because of that, they were featured on TVs as the hottest band. On 23rd June, they had a showcase live at Rock May Kan and the show was limited only for boys. 200 tickets were sold and a venue was completely packed. On the next day , having their first show at Ebisu Liquid Room and over 700 tickets-holders got excited with Versailles first public appearance. 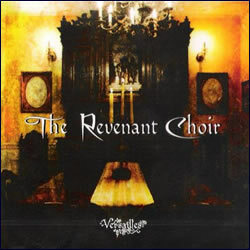 Versailles released their fiest single “The Revenant Choir” (and DVD single too).and sold at only venues. On 30th August, they held an event called “The Red Carpet Day” and tickets were sold over 750. The band announced to release their first album on 31st October in both Japan and Europe at the same day. Also they signed a contact with a German indie label on stage. It was a remarkable day to predict their future. 2) Versailles is also a solo artist. Starting in a friends basement she came out with a four song E.P. called Fallen Angel(2002). That same year Versailles song Little Dead Kitten was placed on a compilation CD called Burque Love 4. Versailles moved to Los Angeles in 2002 to continue her career as a musician. 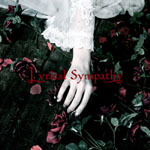 She came out with a CD called Live Your Life and a single Kiss, in 2003 both currently available on her website, http://versailles.ro/. 3) Versailles is also a Math Rock/Post Rock group who released one album, "The Great Axis", and one split 7" with The Mercury Program in the late '90s. Check out their discography here: http://www.discogs.com/artist/Versailles.